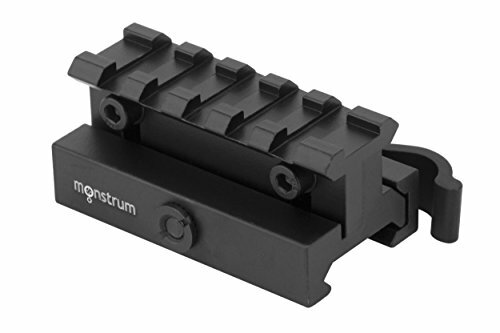 Raise your optic to the next level with the Monstrum Tactical Lockdown Series Riser Mount! Built for use with Picatinny or Weaver base optics, our mounts will give you just the right amount of rise for optimal scope positioning and clearance over your front sights. Based off our best selling riser mount series, the new Lockdown Series Riser Mounts include a hollow body design and an improved attachment mechanism. The single piece machined aluminum profile is designed to shave off precious ounces of weight, making it our lightest and sturdiest riser mount yet. The redesigned locking nut fastens securely via hand, screwdriver, or wrench and is guaranteed to hold zero against the heaviest of recoil. The riser is 2.2 inches in length with 5 Picatinny rail slots. It accepts all Picatinny or Weaver based scopes, red dots, or optics. The high profile mount provides 0.92 inches of rise. 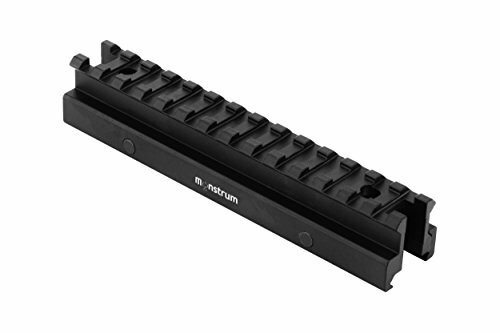 All Monstrum Tactical Lockdown Series Riser Mounts come with a lifetime warranty. The Monstrum Tactical high profile riser mount is designed for use with red dots and optics, allowing for sight clearance of front sights. 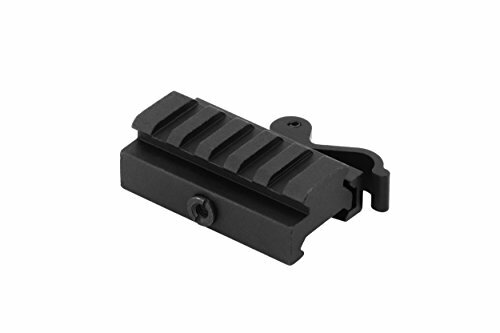 1 inch high and 1.5 inches in length and with a Picatinny standard rail mount, it will accommodate Picatinny or Weaver standard red dots and other optics. It secures and detaches quickly via one thumbscrew, with no tools required. The see through design is designed for simultaneous use of low profile front sights. Crafted from aircraft grade aluminum, it is sturdy and lightweight, weighing in at a mere 1.6 ounces. The Monstrum Tactical high profile riser mount is designed for use with scopes and optics, allowing for sight clearance of front sights. 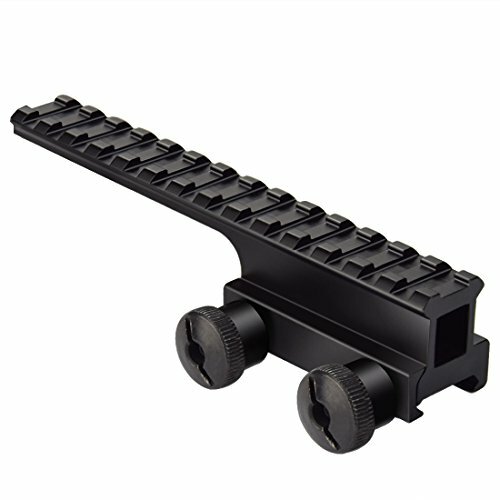 1 inch in height and 5.7 inches in length and with a Picatinny standard rail mount, it will accommodate all Picatinny or Weaver standard scopes, red dots, or other optics. It secures and detaches quickly via two thumbscrews, with no tools required. The see through design is designed for simultaneous use of low profile front sights. Crafted from aircraft grade aluminum, it is sturdy and lightweight, weighing in at a mere 6 ounces. The Monstrum Tactical low profile riser mount is designed for use with scopes and optics, allowing for sight clearance of front sights. 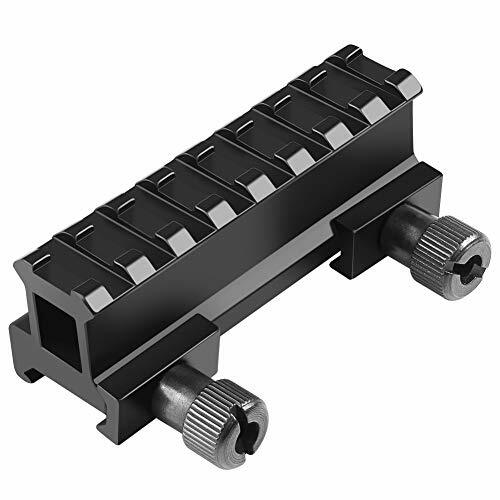 0.5 inches in height and 5.7 inches in length and with a Picatinny standard rail mount, it will accommodate all Picatinny or Weaver standard scopes, red dots, or other optics. It secures and detaches quickly via two thumbscrews, with no tools required. Crafted from aircraft grade aluminum, it is sturdy and lightweight, weighing in at a mere 5 ounces. 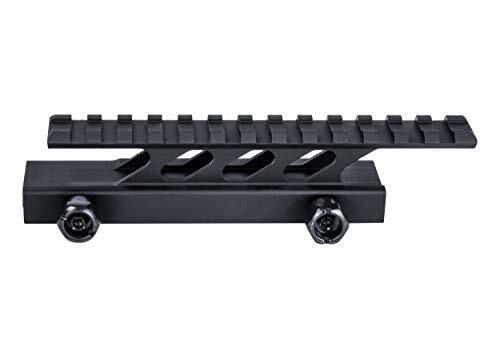 Raise your optic to the next level with the Monstrum Tactical Lockdown Series Adjustable Height Riser Mount! Our exclusive adjustable height design allows for absolute precision placement of your optic based on your rifle setup or preferred cheek weld! The riser can be adjusted incrementally via two locking screws from 0.87 inches up to 1.14 inch of rise, measured from rail surface to rail surface. 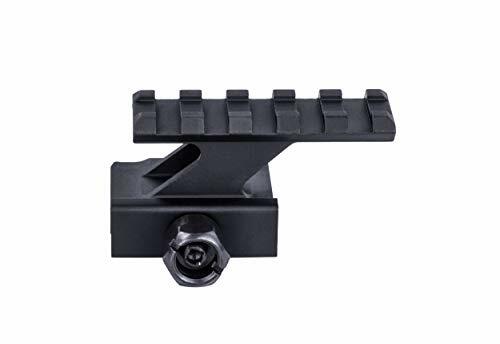 Built for use with Picatinny or Weaver base optics, our mounts will give you just the right amount of rise for optimal scope positioning and clearance over your front sights. Based off our best selling riser mount series, the new Lockdown Series Riser Mounts include a slimmer profile body and a quick release attachment mechanism. The mount attaches to your rifle quickly and securely via an adjustable tension quick release mechanism. It accepts all Picatinny or Weaver based scopes, red dots, or optics. All Monstrum Tactical Lockdown Series Riser Mounts come with a lifetime warranty. 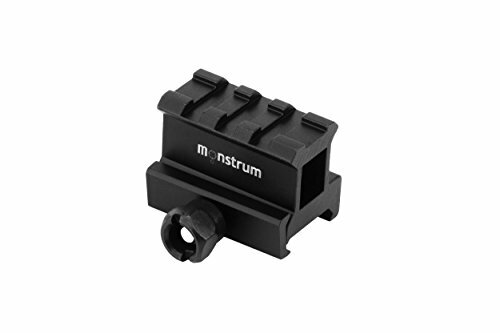 Raise your optic to the next level with the Monstrum Tactical Lockdown Series Riser Mount! 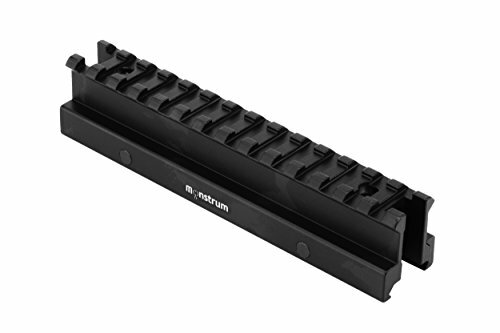 Built for use with Picatinny or Weaver base optics, our mounts will give you just the right amount of rise for optimal scope positioning and clearance over your front sights. Based off our best selling riser mount series, the new Lockdown Series Riser Mounts include a hollow body design and an improved attachment mechanism. The single piece machined aluminum profile is designed to shave off precious ounces of weight, making it our lightest and sturdiest riser mount yet. The redesigned locking nut fastens securely via hand, screwdriver, or wrench and is guaranteed to hold zero against the heaviest of recoil. 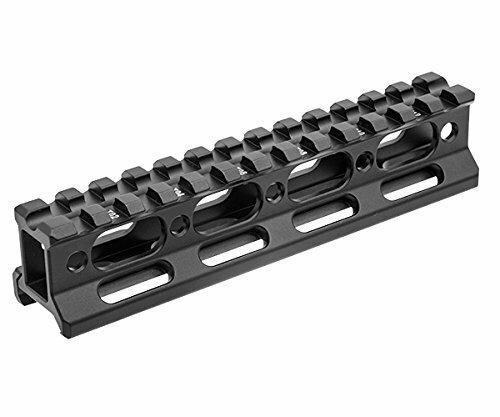 The riser is 5.5 inches in length with 13 Picatinny rail slots. It accepts all Picatinny or Weaver based scopes, red dots, or optics. The high profile mount provides 0.92 inches of rise. All Monstrum Tactical Lockdown Series Riser Mounts come with a lifetime warranty. 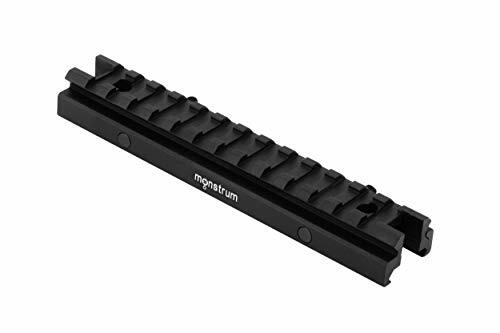 The Monstrum Tactical low profile riser mount is designed for use with red dots, scopes and optics, allowing for sight clearance of front sights. 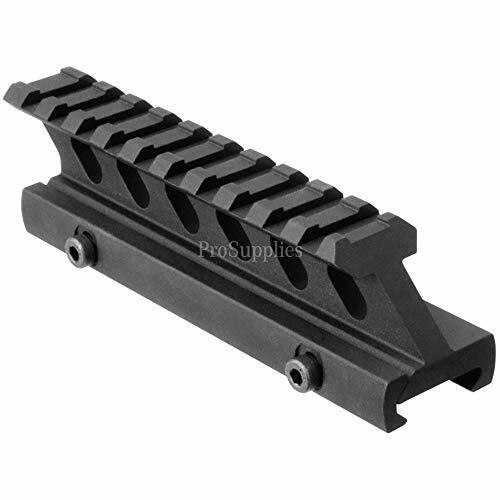 0.59 inch high in length and with a Picatinny standard rail mount, it will accommodate Picatinny or Weaver standard red dots, scopes, and other optics. 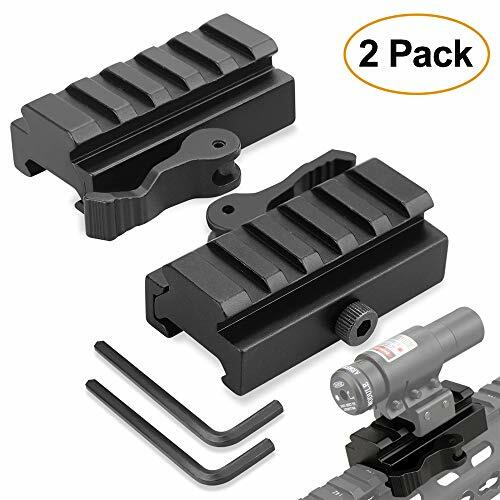 It comes equipped with an easy to operate quick release mechanism that allows for fast and easy attachment and detachment, allowing you to quickly mount or remove your optic depending on need. The mounts attaches via a simple quick release lever rather than with sets screws and allen wrenches like traditional mounts. The bolt mechanism can be tightened further from the other side for an even tighter fit. Crafted from aircraft grade aluminum, it is sturdy and lightweight. Available in 1.5 inch (3 Picatinny slots) and 2.5 inch (5 Picatinny slots) versions. The AR riser mount lifts your mounting surface to mount optics and other accessories. The new PRO-MOUNT riser is packed with premium features in a sleek package, without the high-end price tag. 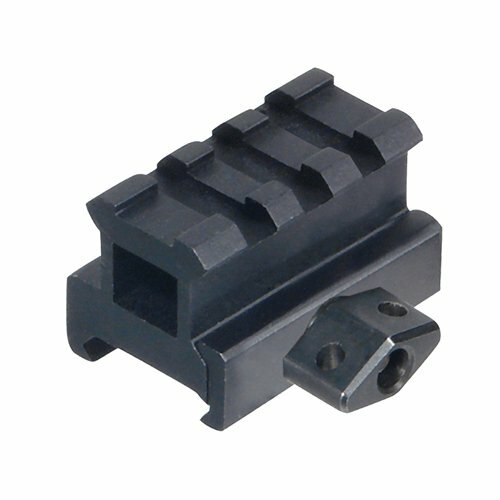 It is compatible with many red dot sights, with a single picatinny rail for secure mounting. The cantilever design places your optic further forward, which makes guiding your eye towards your target even faster. The skeletonized body of the sight keeps weight low without sacrificing the strength you need for staying on target in rough conditions. And keep things snag-free, we've switched to a bolt and lock nut for a tight fit that won't get caught on your gear. Available in 2 heights for cowitness, and compatible with our AT3 RD-50 and many other red dot sights! Get the UTG Scope Mount to attach your favorite scopes to your Remington 700 Long Action rifle. 5/8" Quick Detach QD Riser 3 Slot Picatinny Rifle Scope Mount 1.5"
For accurate scope placement, use the Nikon 835 P-Series Mount. The two-piece design mount properly fits the flattops in the picatinny rails. It provides good height and is perfect for fore-aft angle positioning, which is comfortable for the shooter's eyes. 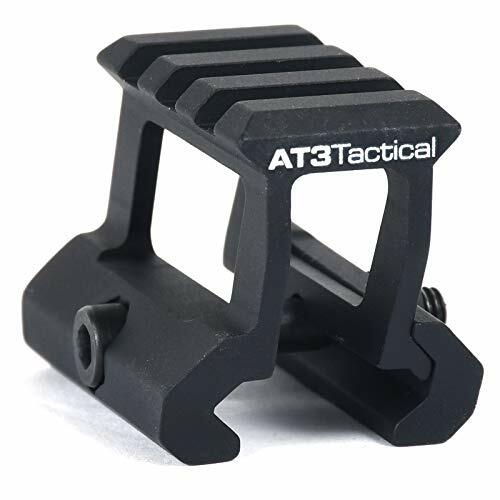 The matte black mounts are available in a standard size and can be reversed for ultra-compact scopes.